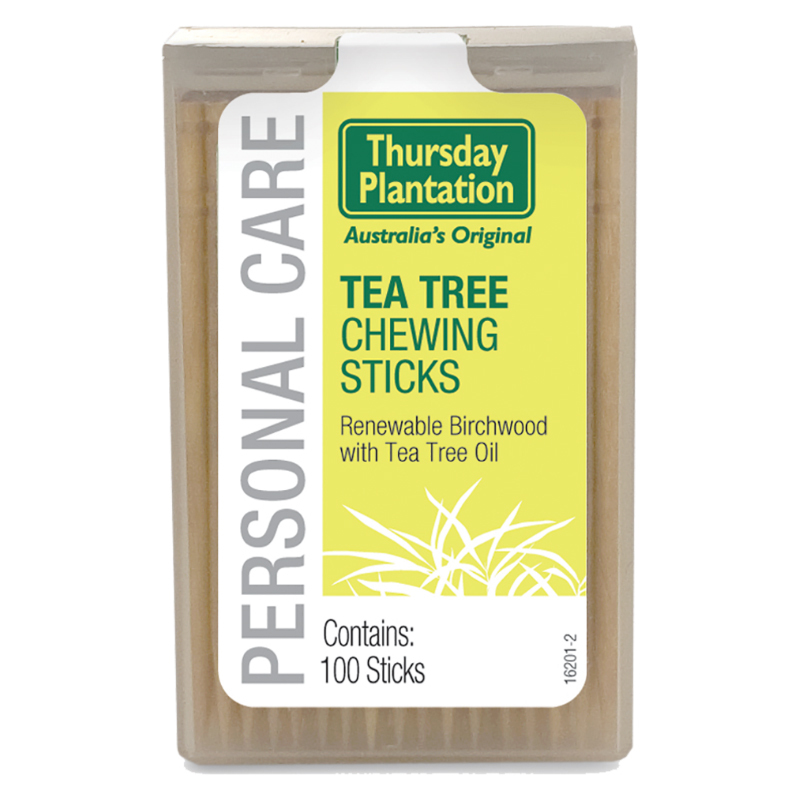 Thursday Plantation Tea Tree Chewing Sticks are naturally flavoured and support good oral hygiene by eliminating food particles and other odour causing debris lodged between the teeth. Menthol, Melaleuca Alternifolia Leaf Oil, Cinnamomum Cassia Leaf Oil, Canola Oil, Mentha Piperita Oil, Mentha Virdis Leaf Oil, Foeniculum Vulgare Oil. Choking hazard – Do not swallow.